The Sonderhoff group of companies will present their products for the automotive industry in China at the 17th Shanghai International Automobile Industry Exhibition. The German company is the world's leading system supplier for foam sealing, gluing and potting solutions including the dispensing machines for precise material application on the automotive parts. Particular highlights at the Sonderhoff booth are the Low-Emission and Fast-Cure polyurethane foam seal systems Fermapor® K31 and the newly developed polyurethane-based 2-Component adhesives Fermaglue®. The visitors will experience the precision of the 3 component DM 403 mixing and dosing machine during live demonstrations at the booth. Sonderhoff is process specialist for the automated material application on parts of small to large series productions using the formed in-place (FIP) sealing technology. It has established as industry standard for an efficient, accurate and economical production method not only in the car manufacturing. When it comes to precise material dosing, accurately applied to the parts’ contour, the advantages of FIP become very clear. This is especially true for the highly synchronized series production in the making of cars. 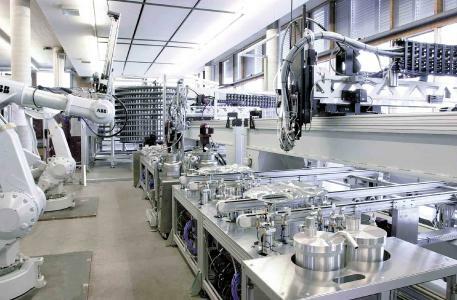 Most of the parts are processed with the very precise linear robots of Sonderhoff’s mixing and dosing machines. Six axis robots for the part handling are used for complex 3D component geometries. Due to different lengths and diameters dosing nozzles reach into remote areas of 3 dimensional parts so that foam sealant, glue or potting can be applied accurately. Using FIP sealing technology and dispensing machines of Sonderhoff foam seal applications are reliably reproducible in large numbers subject to the required zero fault tolerance in the automobile industry. The raw materials for foam sealing are exploited almost to 100 %. There occur no punching or scrap losses as with the classical pre-fabricated moss rubber seal. All information relevant for the quality of safe engineering, material and the process are automatically recorded by the Sonderhoff mixing and dosing systems, accessible at any time. The traceability of previous processing operations of the system ensures a reproducible production quality. Components and modules that are used in the manufacture of automobiles must be tightly sealed after their assembly against moisture, dust and harmful media. 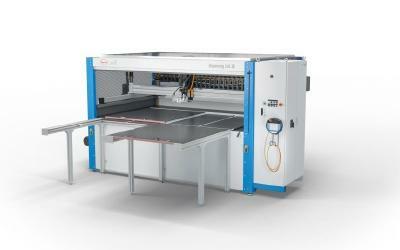 The foam sealing, adhesive and potting systems from Sonderhoff are very versatile for the use in the car industry. For instance, Fermapor® K31 Low-Emission foam gaskets seal air intake passages. Very reactive Fermapor® K31 Fast-Cure foam seals with very short tack-free time adapt to the highly synchronized car production. Fermaglue® 2-component adhesives in different degrees of hardness are used for bonding various auto parts. And Fermasil® silicone foam gaskets are suitable for enclosure sealings in the engine compartment due to their temperature resistance. 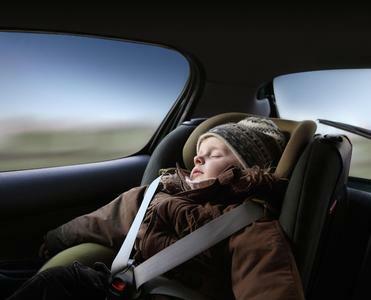 The polyurethane foam seals Fermapor® K31 used for air conditioning systems in cars ensure a leak-free fit of the filter of air intake passages, so that no unfiltered air passes the filter into the car interior. The antimicrobial properties prevent that microorganisms settle on the filter seals used on the air duct. Thus the hygiene requirements of VDI 6022 are met for air filters. 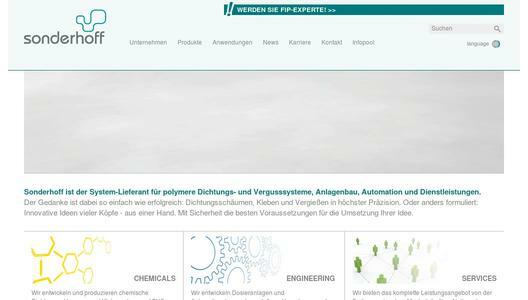 The polyurethane potting systems Fermadur® from Sonderhoff are applied in various application areas, from surface coating and protection against environmental effects, to encapsulating electronic components, e.g. the potting of automotive connector plugs, relays, transformers, condensers, sensors and others. However, decisive for constant quality of foam sealing, gluing and potting are the right choice of raw materials, excellent workmanship as well as security and accuracy of the dispensing machines. Thus, a more precise application process of the materials on the components can be achieved. Sonderhoff has steadily improved the polyurethane based foam seal system Fermapor® K31 Low-Emission. Now, the low-emission foam sealings meet the strict limit requirements of nearly all automobile manufacturers’ specifications. They contain target values with regard to fogging behaviour, thermal desorption (VOC) and formaldehyde emission. 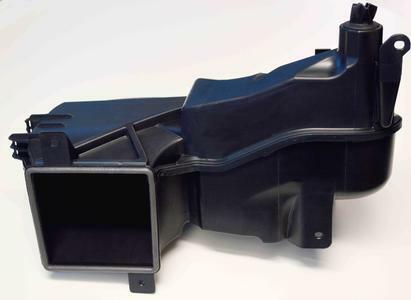 The automaker Daimler, for example, confirmed the sealing specialist from Cologne that the low-emission polyurethane foam seal Fermapor® K31-A-45CO-1-G-LE meets the stringent technical requirements of the manufacturer's own specification DBL 5452-13 to comply with the target values of VOC emissions and fogging behaviour. The emission target values for the Volatile Organic Compounds (VOC) are at 100 micrograms and for fogging at 250 micrograms per gram of polyurethane. This allows reducing a high level of VOC in the air inside the vehicle significantly. Irritation of eyes, nose, throat, skin or allergic reactions can be avoided. Fogging in cars can lead to condensation on the interior side of a windshield or on the inside of headlight covers. In extreme cases, the road safety of motorists could be affected by this. Low emission gaskets from Sonderhoff are used in vehicles for door modules, interior door trims, window openers, loudspeaker gaskets, rear ventilation, and for leak-free seating of micro pollen filters for air conditioning. The use of rapidly reacting Fast-Cure foam seals with very short tack-free time as well as safe plant and process control for precise material mounting on parts are one of the prerequisites for highly synchronised production processes, as it is common in the automotive industry. The Fermapor® K31 Fast-Cure systems exhibited at AutoShanghai are fast reacting 2-component polyurethane foam seals that Sonderhoff has developed specifically for the automotive high clocked process manufacturing. Already after 120 to 180 seconds the surface of the fast-cure foam seal is tack-free at room temperature. Due to this, the foam sealed parts can be rapidly processed in the subsequent manufacturing process and thus assembled earlier. It saves energy costs, possible costs for an intermediate storage of parts, as well as investments in a tempering furnace or transfer belts for long curing lines. Special Fermapor® K31 Fast-Cure foam seals meet the technical requirements of the manufacturer's own standards in the automotive industry, from the Daimler DBL 5452-13 to the VW standard TL848 to Chrysler / Fiat standard MY 560. The fast-reacting Fast-Cure foams have low water absorption and protection classes up to IP69K depending on component design and the used foam seal system. Due to this, enclosures containing sensitive automobile electronics, for instance, are sealed against humidity, dust and other outside impact. Fermapor® K31 Fast-Cure systems have a good adhesion on different material surfaces, on certain substrates after previous surface treatment (like Plasma). Different hardness grades are possible. The viscosities of the Fast-Cure foams can be adjusted from liquid to pasty flexibly to the respective part geometry. Thanks to new materials and their combinations, the design possibilities in the car lightweight have diversified. Inputs and attachments in the car from thermoplastic or thermosetting plastics to plastic components with metallic components are increasingly bonded with 2-component polyurethane adhesives. These are in vehicles a number of components: Glass fiber-reinforced plastic (GRP) sandwich constructions (e.g. truck bodies), cathodic dip coated metal frame for sunroofs of glass, PMMA or PC with scratch-resistant coatings, roof panels, trims and spoilers as well as ABS or PP-based tailgates. In all these applications, the 2-component polyurethane adhesive systems Fermaglue® obtain optimal bonding results in different degrees of hardness for various substrate combinations of components to be bonded. They meet the high demands on mechanical and climatic resistance. The bonding process requires an accurate mixing and dosing of the adhesive components, while maintaining a well-defined mixing ratio. This requires a precise system technology with a systematic process monitoring. Sonderhoff has the appropriate mixing and dosing machines for it. They provide an optimal processing of polyurethane adhesives and a process-integrated dosing accuracy. 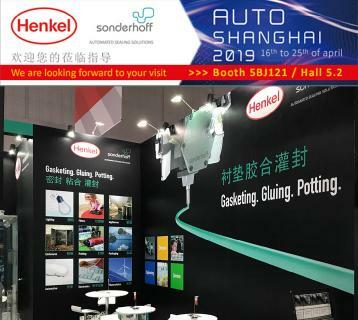 The rapid development of the Chinese automotive industry which demands new advanced technologies and specialized new products is reason enough for Sonderhoff to exhibit at AutoShanghai again. They will present with their products FIP solutions for foam sealing, gluing and potting at booth 4BJ105 in hall 4.2. After years of trade show attendance Sonderhoff (Suzhou) Sealing Systems Co.Ltd., founded 2009 in Suzhou near Shanghai, gained market shares very successfully. This is mainly due to the complete portfolio of sales and technical application services, machine maintenance, spare parts supply for existing machines and trainings. 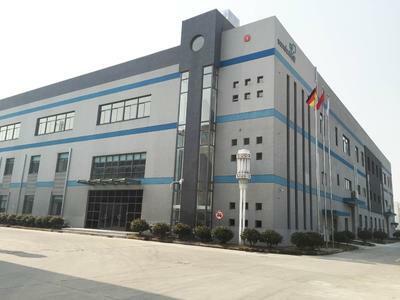 Last year Sonderhoff (Suzhou) Sealing Systems moved to a larger location in Suzhou. Now, more than 6000 square meter are available for new growth. They established their own production of polyurethane material component in Suzhou. 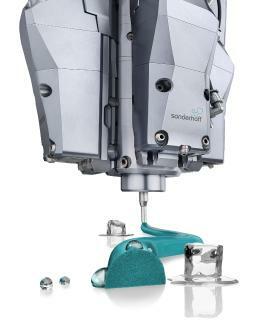 This makes them independent from material imports from Sonderhoff’s production facilities in Germany. It shortens the delivery times to Chinese customers significantly. 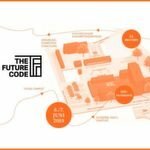 Sonderhoff (Suzhou) operates as extended workbench for the automotive suppliers in China, for prototype sampling and contract manufacturing in a two-shift operation from zero to small, up to large series. More often customers place orders of 100,000 pieces annually and above. New machines from Sonderhoff Engineering are placed for extended contract manufacturing at the new location. Three dispensing machines with linear robots are used for polyurethane and silicone foam sealing, potting and gluing applications as well as one six axis robot for the part handling. In case of material dispensing on 3D parts, the mixing head can be mounted on the robot arm, which then accurately moves above the part contour. Alternatively, the part is held with the robot arm under the mixing head of the dispensing machine. 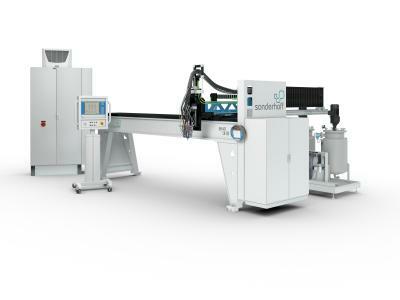 The major benefit for the automotive customers: Sonderhoff (Suzhou) Sealing Systems offers the material systems together with the dispensing machines. Optimal process stability and fine-tuned adaption of the used material with the setup parameters of the mixing and dosing machine is guaranteed. Thus, the customers get everything from one source. The Sonderhoff System combines chemical and technical competence with creative engineering know-how in the fields of mixing and dosing of sealing material and process engineering provided with a comprehensive service entirely focused on satisfied customers. The sealing products from Sonderhoff are used for foam gasket, gluing and potting applications of various industrial components, for instance, from the switch board enclosure, electronics, automotive, lighting, air condition, filter, photovoltaic, packaging or household appliance industry. The affiliates of the Sonderhoff group of companies in Italy, the U.S.A and China offer the complete range of sales, technical and contract gasket application services to the OEMs in these countries as well as production, sales of material systems and the distribution of dispensing machines from Sonderhoff.